Q: I'm curious to know if this dhtml menu cross frame work with frames. Are there any limitations regarding frames? I'm thinking of having the tree in a left-hand frame and using it to change two stacking frames to the right. Do you foresee any issues with this plan? Q: We have a question and a problem. If you click on a link in this submenue a new window open _BLANK! Is it possible to open the new site in a popup in dhtml drop down menu, like 800 x 600 or something? A: Actually menuItems and tmenuItems have a different structure. We don't have such converter yet. 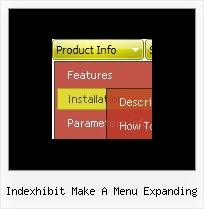 You can try to change your menuItems in any text editor. I suppose it will be easier to convert items in editor than in Deluxe Tuner.